It's often very annoying when you have an uneven skin tone. I have been there. I once had a darker face and darker knuckles while the rest of my body were lighter. Even though it wasn't obvious, it was really annoying and kills confidence. The first thing I did, was to find the reason why I had an uneven skin tone and i realized that..
1. I wasn't caring much about my face like I do my body. 2. I wasn't using a good lotion for skin hence the darker knuckles. Please note that I wasn't bleaching. I ditched the lotion and I started using Extra Virgin Olive Oil as my daily moisturizer and the knuckles clearly disappeared. This happened about a year ago before I started lemon/sugar scrub for my face. Now I pamper my face and I'm very careful when it comes to using chemicals to treat any issue. I will always prefer the natural way hence the lemon and sugar scrub. Do not be in a hurry to see results. From my discussion with some of my friends, I found out that people always want results the faster way hence they ignore taking care of themselves with nature's gifts but would rather spend millions on products that have little or no effect. Two ladies complained to me a week ago about how they spent #40,000 and #30,000 each, respectively on two different brands of products that gave them stretch marks even without giving them any positive result. They were deeply hurt (my heartfelt apologies to them). You can use lotions, shower gels and all. I use them too but always buy from a reputable company!. Enough said, you can treat dark knuckles, elbows or knees with lemon and sugar scrub and to see results, you need to be patient and consistent. Why lemon and sugar? Because lemon has bleaching properties and sugar is used in exfoliation..
Reasons for dark knuckles include..
Exposing your hands to harsh chemicals or too much washing can lead to skin dryness which causes the knuckles to darken. 2. Lack of proper care..
Often we neglect our hands and feet when taking care of our body but these are places that need pampering more. Skin diseases like eczema and psoriasis can make your knuckles dark. 1. Care for all parts of your body. Don't wash your hands with extremely hot water. Clean them regularly with soft loofah and pumice stone. 2. Moisturize always after cleaning or shower/washing. I have already talked about how to choose the right moisturizer for your skin type. Check my previous post to read. These are daily tips to get rid of dark knuckles and have healthy looking and beautiful hands. 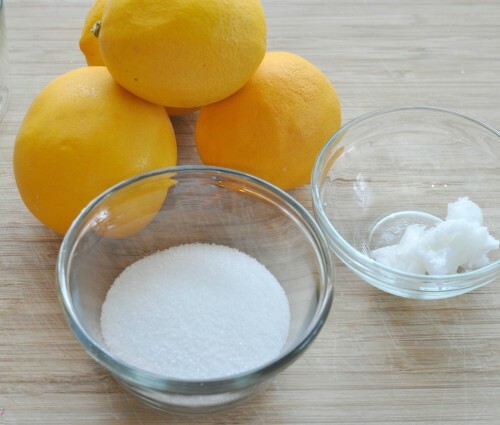 Please note that the lemon and sugar scrub should be done 3 or 4 times a week. You don't have to do it everyday unless you have extremely dark knuckles then you can do it every night before bed, wash off in the morning and apply a hand cream. Mix one tablespoon of fresh lemon juice with sugar until it forms a thick paste, then take as much as your fingers can contain and scrub the dark areas be it your face, knuckles, elbows or knees. You see results from a week upwards. Remember to be patient while you on it.